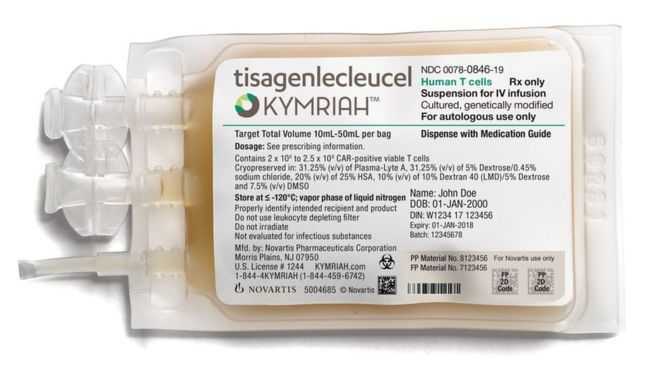 The living drug is tailor-made to each patient, unlike conventional therapies such as surgery or chemotherapy.It is called CAR-T and is made by extracting white blood cells from the patient's blood. CAR-T technology, which goes a step further and redesigns the immune system, is at a much earlier stage. Prof Peter Johnson, the chief clinician at the charity Cancer Research UK, said: "The first genetically modified cell therapy to be approved by the FDA is an exciting step forward.